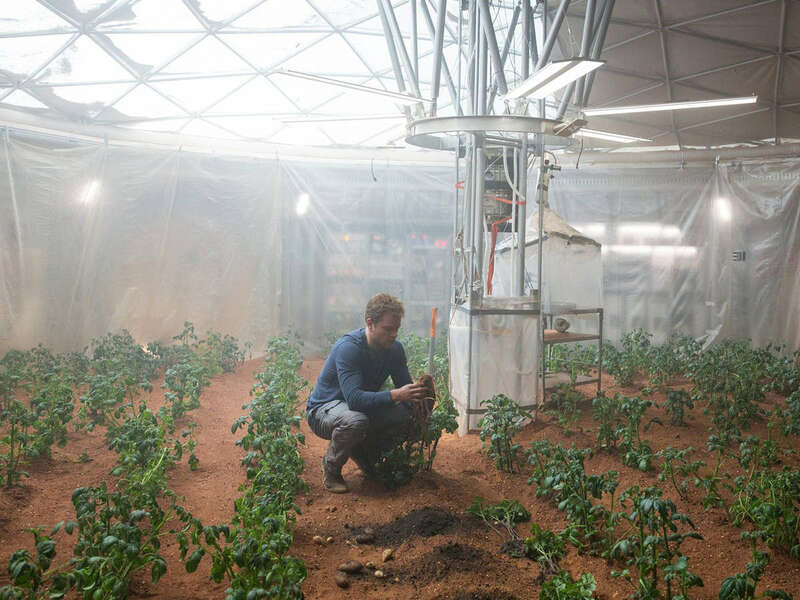 (P1) In order for humanity to one day COLONIZE Mars, researchers must first find a food plant that will grow there. However, Mars isn’t the most HOSPITABLE place for plant life, which is why NASA scientists are currently in Lima, Peru attempting to grow POTATOES in a SIMULATED Martian ENVIRONMENT. (P2) The experiment, which began in January, is taking place at Lima’s International Potato Center (CIP), a research center aimed at achieving food security. The researchers are growing 100 different VARIETIES of potatoes and subjecting them to tests to see if any of them can survive in Martian conditions. (P3) So, why potatoes? A single potato can contain 10 percent of an average person’s REQUIRED daily CALORIC needs. They also THRIVE in difficult, dry environments. The team will need to test all 100 varieties of potato to see if they provide enough calories and can WITHSTAND the extremely dry, DESOLATE LANDSCAPE found on Mars. NASA plans to continue this experiment at least until March, and possibly longer. (P4) For the experiment, researchers brought 200 pounds of soil from La Joya Pampas, a region in the Atacama Desert known for its similarities to Martian soil, to CIP. Now, they are testing each potato to see if they are CAPABLE of growing in such HARSH, dry conditions. If they aren’t, the team will attempt to INFUSE the soil with NUTRIENTS, and will also try using AEROPONICS, where plants are grown in a MOIST environment without soil. (P5) Out of the 100 selected varieties, which were HANDPICKED from over 4,500 recorded varieties, 40 are native to the Andes Mountains, the area of the world where potatoes were first CULTIVATED 2,500 years ago. (P6) If all goes well, NASA will find a variety of potato that grows well, YIELDS a significant HARVEST, and also REPRODUCES. It’s a TALL ORDER, but the researchers are confident in their chosen CROPS. “We’re almost 100 percent certain that many of the selected potatoes will pass the tests,” says Julio Valdivia Silva, a Peruvian astrobiologist. (P7) Perhaps potatoes might be one of our tickets off Planet Earth. Scientists are looking for VOLUNTEERS to colonize Mars. Would you be interested? Do you think we will see colonies on Mars or the moon in our lifetimes? Do you like potatoes? Are they used in your country’s CUISINE? Did you see the movie The Martian? Do you like SCIENCE FICTION movies?